With help from the Institute of Automation and Electrometry at the Russian Academy of Sciences in Novosibirsk, Siborg has created a calibration fixture that can perform periodic calibration all Smart Tweezers models, including the LCR-Reader. 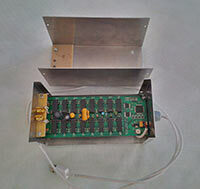 The fixture uses a set of 14 known components of different types and values within the ranges of the devices. Previous Smart Tweezers calibration fixtures used a 4-wire Kelvin probe connection; the new model use a 2-wire connection allowing all models to be calibrated. 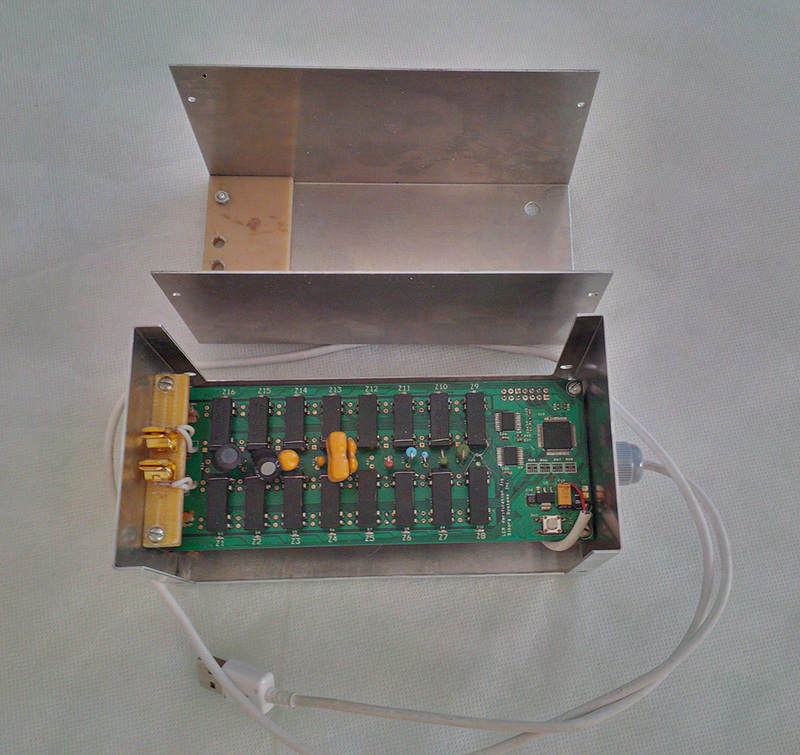 When connected, the fixture cycles through the series of components. The measurement results are displayed on the device's OLED screen which then are compared to the known values of the components within the fixture. The Calibration Fixture and 4 randomly selected LCR-Readers were sent to Navair Technologies in Toronto, Ontario, one of the leading calibration houses in Canada. 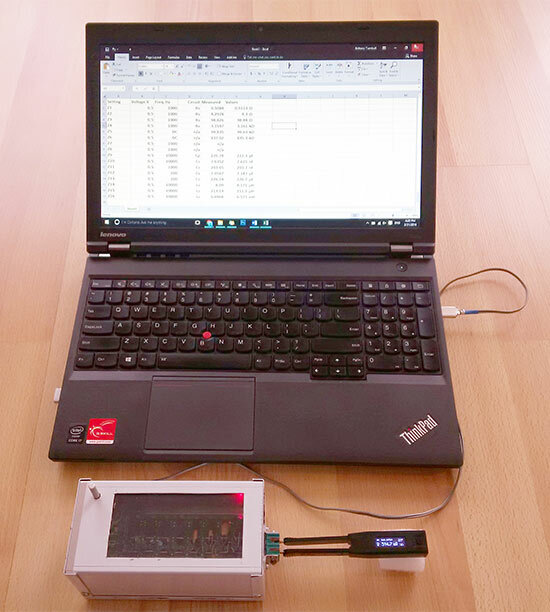 With this verification, Siborg is able to offer NIST traceable calibration certificates for the LCR-Reader and other models. 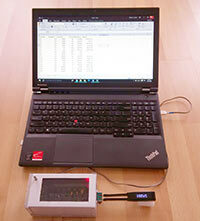 This is particularly useful for LCR-Reader users' who require their test equipment to be calibrated annually. 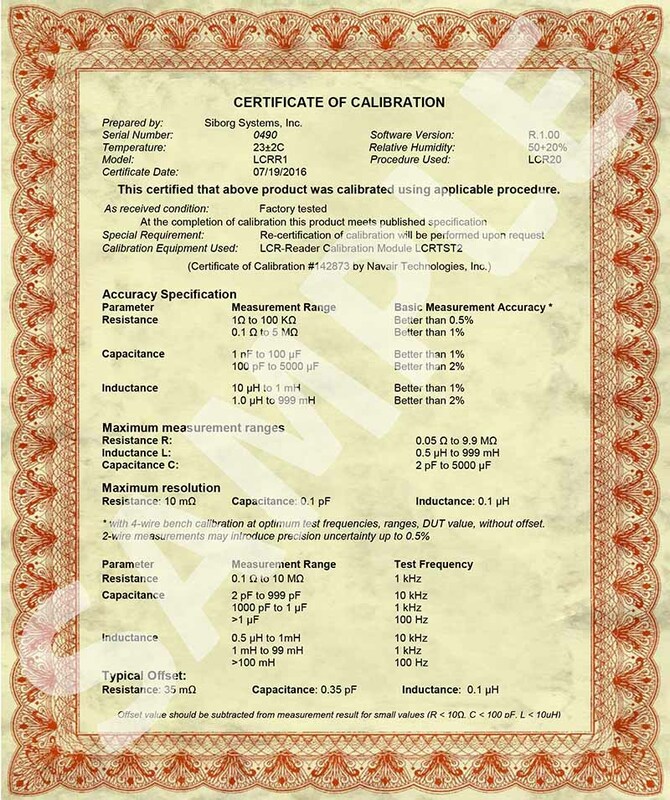 Calibration certificates are available in the LCR-Reader Store when ordering an LCR-Reader. 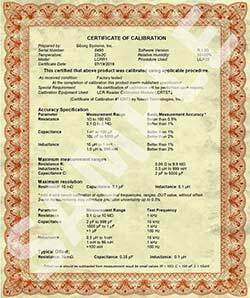 Each calibration certificate is created for each device and must be ordered at the same time as the LCR-Reader.